Heat oil in a soup pot set over medium heat. Add garlic, ginger, and spinach. Saute until spinach is wilted, approximately 5 minutes. In a high-speed blender or with the help of an immersion blender, puree spinach mixture with juice, mint, avocado, tamari (if using), and lemon juice until smooth. Return mixture to pot and warm over low heat. Serve. 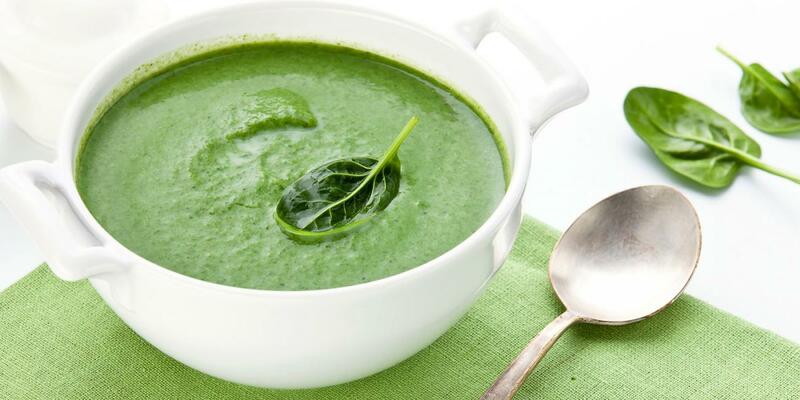 This soup is full of chlorophyll-rich spinach, which helps eliminate the body’s load of toxic chlorinated pollutants.